I read this article and thought it might be interesting. The article is called Tablets in Schools Case Study in Success and is located at http://www.josepicardo.com/educational-technology/tablets-in-schools-case-study-in-success/. This is a transcript of the seminar I delivered at BETT in the School Leaders’ Summit on Friday 22 January 2016. “Case Study in Success” was the title chosen by the organisers. My name is José Picardo. 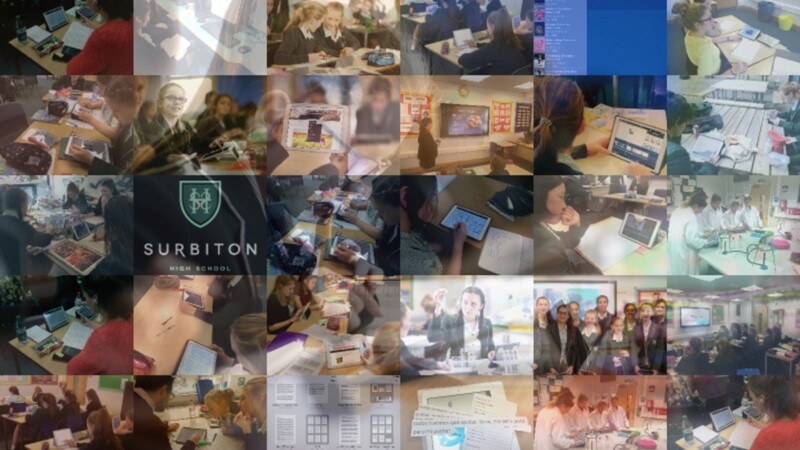 I am assistant principal at Surbiton High School (SHS). Our school is currently in the third year of a 1:1 programme after we decided to give all our students a tablet. Mobile device territory is a bit of a minefield. Depending on who you speak to, we are either incredibly innovative or veritably foolish: some people think it is a great initiative, many disagree altogether with the notion of mobile devices in the classroom, while some others disagree that tablets are the right mobile device for the classroom — for some folk mobile devices just have to have a keyboard. So I never know if I’m going to get a pat on the back or booing and hissing. One of the things I want to do today is talk a little about our journey at SHS and about what has happened in the last three years. But the most important aspect of my talk will be to show you what a 1:1 tablet environment actually looks like. So later on I will be showing you a three minute video filmed by one of my colleagues, with actual lesson footage, painting an accurate picture of what a 1:1 classroom looks like. We find people we speak to don’t really know what students actually do on their devices. On the one hand, many assume students are going to be on social media and distracted from learning, not learning anything. This is clearly not very rigorous. On the other hand you have people who assume that when tablets are introduced, students will use them exclusively. I would like to think that common sense would tell us all that neither of these thing actually happen and that there is a very productive Goldilocks zone in which teaching and learning can thrive, develop and improve in quality. How many of you have spotted the guy standing in front of the bookshelf? (cover picture, at the top). There is a guy standing there. His name is Liu Bolin. He’s a Chinese performance artist who gets his assistants to paint on him, so that when he stands in exactly the right place, you can’t see him. He blends into the background. 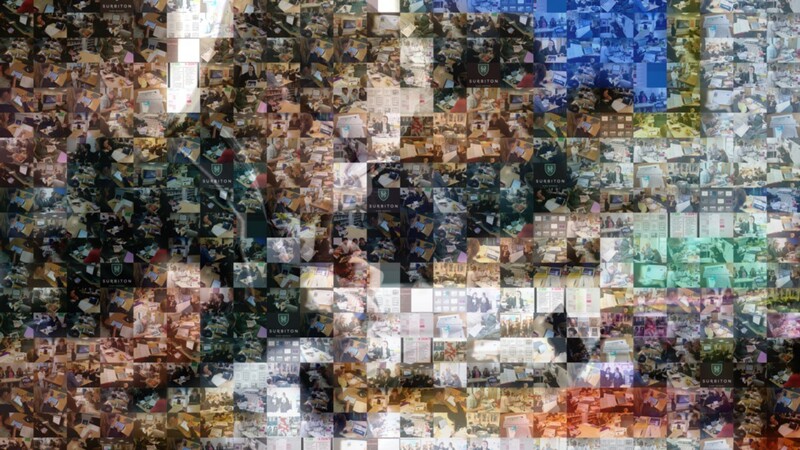 Why am I showing you this picture? The reason is because it encapsulates very neatly what our vision for the use of technology at SHS is: we want technology to be invisible. Just like electricity. Like running water. We don’t want technology to be a big deal. One of the things that people notice when they visit our school is just how ordinary and normal having tablet is. It’s just there for when its needed. It’s used in many lessons, but not in all lessons. When it’s used, it’s not used throughout the lesson, but rather when appropriate and when it adds value to the learning. It’s the most normal thing in the world. Tablets are invisible. They’re used when required. No fuss. And that’s exactly what we set out to achieve. We wanted teachers to rely on tablets in the same way they rely on electricity to be available when they walk into a classroom, flick that switch and expect the electricity to work. Nobody plans a lesson in case the electricity doesn’t work! So, we set out to make tablet technology to be as reliable as electricity or as running water. We wanted it to be there on tap when needed. Technology ceases to be considered as such when it becomes normal, when it becomes mundane. Cars were technology once — they were gadgets, if you think about it. But now everyone relies on them, they’re the most normal thing in the world. So, I really think that the debate that we are currently having about whether or not to have mobile devices in schools will soon be obsolete, as it slowly becomes apparent to more and more of us that the benefits of teaching and learning in environments where teachers and children are able to use mobile devices outweigh any negative aspects. Even what we currently see as big obstacles, such as the financial cost of 1:1 programmes on this scale, will eventually cease to be impediments, as the cost of using mobile devices is outweighed by the cost of not using them. Remember that cost can be measured in terms other than financial. One of the first questions that people often ask when they hear we have given all our students tablets is Where is the evidence? Why are you spending so much money on tablets? The suggestion being that there is no evidence to support the huge financial investment required to put mobile devices in the hands of every teacher and student. This is wrong. There is evidence. It’s just not very compelling. To be fair though, we must remember that the iPad — the device which heralded the age of the tablet — is only 6 years old. In fact, my six year old son is slightly older than the iPad. So there are no longitudinal studies about the impact of tablets in schools. But there are studies that have looked at the impact of digital technology in a more general sense that have been brought together into meta-studies, such as this summary by the Education Endownment Foundation. Very often, the people who ask this question — which, by the way, is a very good question to ask, I’m certainly not dismissing it — often point out that technology has been shown to only a moderate impact on outcomes, as measured by exam results. The Education Endowment Foundation’s Toolkit has worked out from analysis of metastudies how impactful particular interventions are as measured by months’ gain (and yes, I am aware this kite-marking method of measuring effectiveness and impact is contested and has its flaws). In this model of measurement, digital technology interventions add four months’s gain. Pretty pedestrian stuff. There are other interventions that add a lot more. For example, good feedback interventions have been shown to add eight months. That, in effect, puts children a whole academic year ahead in that subject compared to children who are not being taught in the same way. Pretty compelling stuff. Meta-cognition and self-regulation strategies have also been shown to add up to eight months. Then comes peer tutoring — getting older students to teach or mentor younger students — which also has great impact, six months. In secondary, but not primary, where it adds no gain according to this research, homework interventions can add five months. Collaborative learning also adds five months, as does mastery learning. Finally we get to digital technology interventions, which, as I pointed out earlier, add four months, far from the top of this list. To make things worse, statisticians tell us it is probably wise to assume there is +3/-3 error margin. That is to say, interventions which add gain in the region of plus three months to minus three months are probably neither here nor there in terms of gain and that the impact of these interventions is probably too close to neutral to be of any actual advantage. Digital technology is only one month away from this error margin. In the minds of many, this begs the question: if digital technology interventions cost so much but their impact is questionably low, is it worth spending all that money on computers, laptops, infrastructure, tablets and what have you? But we then realised that many of these studies upon which the EEF and others such as John Hattie had relied to work out the impact of digital technology went back decades to when digital technology meant taking children out of ordinary classrooms and placing them in front of monitors in computer rooms. That was the intervention. In many of these interventions, the objective was to measure how good computers were teaching instead of the teachers, not how technology supported the processed involved in great, successful teaching and learning. This is important. So, this is where the four months’ gain figure comes from. So we thought this might be missing the point. We thought: what are computers really good at doing? Everyone carries a computer of some kind on their person these days: a laptop, a tablet, a smartphone. They wouldn’t do that if they weren’t useful. These mobile computers, among other things, are really good at connecting people. Teachers and students are people, so, could we, for example, use these mobile devices to amplify the effect of these feedback interventions? At this point it’s important to point out that the focus of these interventions would not be on the technology, but rather on the training teachers to give excellent quality feedback that is most likely to move on students’ learning. In terms of meta-cognition, if all students had access to mobile devices, they could potentially have access to a greater amount of knowledge as curated by their teachers in digital learning spaces, as well as the information contained in the web. They could help themselves to learning. If you consider the fact that work-class office software (word-processors, presentation tools, email clients, calendars…) are freely available to all in education thanks to Apple’s iCloud, Google and Microsoft, self-regulation too could feasibly be supported by the use of mobile devices. In fact, at our school, we often see students scheduling appointments in each other’s calendars to attend clubs or rehearsals, or even Facetiming each other for help and support in the evening and at weekends if they are struggling with a particular piece of homework. When it comes to homework, apps such as Showbie, which we use across the school as our preferred method of managing workflow and marking feedback when digital tools are used (we still use paper textbooks and exercise books too! ), help enormously to improve both the quality and the range of options for homework tasks, as teachers can now set tasks involving video and audio recording and editing. As a teacher of languages, this means I can now set listening and speaking tasks, which have traditionally been assessed exclusively in the classroom, for homework. It also means that, using voice notes within Showbie, I can give really accurate immediate feedback to specific students as to how the words they find dificult need to be pronounced correctly, rather than dedicate valuable lesson time to do so. So, this is how we interpreted the evidence. We didn’t say, ok, the evidence for digital technology interventions is not very compelling, so we won’t use any technology, as some folk appear to suggest. We said, hang on, what does the evidence say about how teaching and learning are most successful and how can digital technology support these processes and interventions? If you’ve been studying the interventions on this last slide, above, you may have noticed I have not yet mentioned reducing class sizes, in the bottom right hand corner. According to this research, reducing class sizes hardly has any impact beyond reducing the number of exercise books a teacher has to mark. It appears to have very little impact on the learning. The reason why I bring this up is because one of the original suggestions folk made as to how to better spend the money we were about to spend on tablets was to employ more teachers. We actually looked into this and it turned out that if we spent that money on teachers instead of tablets we could probably employ an extra three or four teachers. In a school of our size, this would mean a class reduction on average of under two students. On balance, therefore, we decided that the money would be better spent on supporting higher impact interventions through the appropriate and effective use of tablet technology. It seemed reasonable. Please don’t misinterpret me and assume that I think teachers aren’t important. I think that great teachers and great teaching are the key factor in successful learning and technology is the servant to great teaching and learning, not vice versa. I don’t think that technology will ever substitute teachers in a formal school environment but I do think that technology can amplify the reach and impact of great teachers. With all this in mind, what I then try to do is to get people to look at the bigger picture. This is a photograph (above) of one of my students in a Spanish lesson. She is using her tablet to test her vocabulary with self-marking activities and language games. When looked at in isolation, it is easy to counter that she could be doing that task on an exercise book, which is much cheaper, and that there is no need for an expensive tablet. They would probably be right. She also uses her iPad to access her textbook, which is online and contains grammar exercises and all the listening activities ancillary to language teaching and learning. You could say then that buying the paper textbook is cheaper than buying a tablet. Again, this is correct, textbooks are indeed cheaper than tablets. She also uses her tablet as a planner to self-organise. But she could use a paper planner for this. Linked to this is her class work and homework tasks, that I set, collect, mark and feedback on using Showbie, the tool I mentioned earlier, when appropriate. This saves a great deal on printing costs, as worksheets can be delivered and completed digitally. But, once again, in isolation, the cost savings on printing fewer sheets do not justify the cost of the tablet. Using mobile devices and the internet means that intellectually engaging low-stakes testing are available to students on tap, both in the classroom and beyond; that textbooks come alive with multimedia content supporting learning when appropriate (e.g. 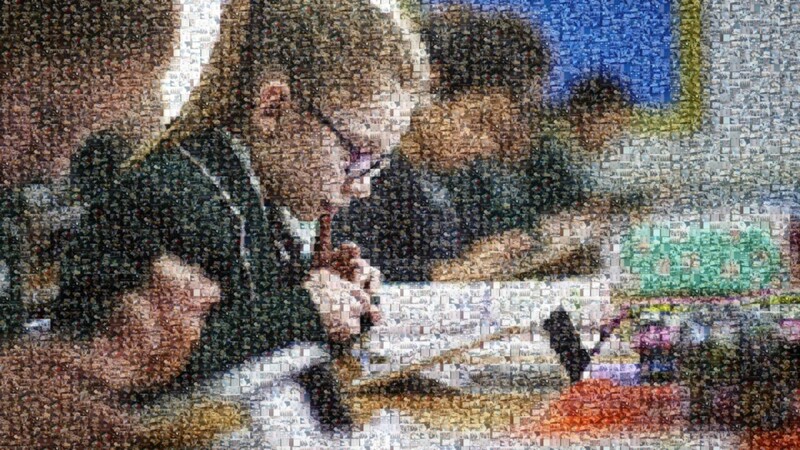 in language learning); that homework can be set, marked and feedback delivered instantly from teacher tablet to student tablet without exchanging bits of paper so often, speeding up the learning process as a result; that planning and self-organising are more effective, as the tablet operating system integrates with Outlook, digital planners and other tools that ensure tasks are planned and completed in a timely manner, helping students to better keep up with the work the need to do using the same tools the rest of the world uses. This is not about preparing students for the future. It’s about preparing students for the present. This is why it is important to look at the bigger picture by increasing the granularity and seeing all of these mobile device affordances in context. We have found at our school — examples of this above — that, although tablets are not used exclusively (something we are very happy with, by the way, for us it’s never been either/or), they have been integrated almost seamlessly into the processes involved in teaching and learning. We find our students use tablets to read for pleasure at break; to write English essays in the gardens; to research History in the library; to film a movie in the target language in a French lesson; to access teacher-curated resources on our digital learning spaces; to communicate with each other after school for support; to record data and experiments in the science labs; to take part in a whole class quizzes which deliver detailed diagnostic feedback immediately; we find teachers and students using them as visualisers and projecting the images wirelessly to our interactive whiteboards… the list is almost literally endless. A t this point, I’d like to illustrate all of the above with a short three minute video which depicts, using actual lesson footage, how tablets are used at our school. As you can see, students move seamlessly from one medium to another. From paper to tablet and from tablet to paper. Also bear in mind this video recorded tablet use only, so please don’t go away thinking that tablets are used all the time. Teachers and students use them when they add value. That’s it. Having listened to me today apparently harping on about how technology can support existing practices, it may be tempting to assume that if mobile devices are not visibly transforming the way we teach and learn, then what is the point? After all, in lessons, as this video shows, teachers are very often still the sage on the stage and students still often sit in rows. But the way teachers can prepare lessons and students access learning is changing apace. This is not the revolution promised by many, but a more desirable evolution. 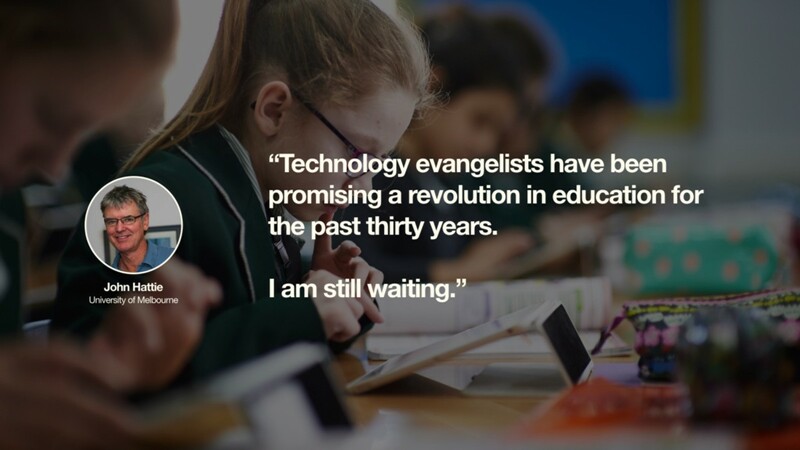 Might technology one day transform education beyond recognition? Who knows? I always say that if you want to guarantee to be wrong, then go ahead and predict the future. 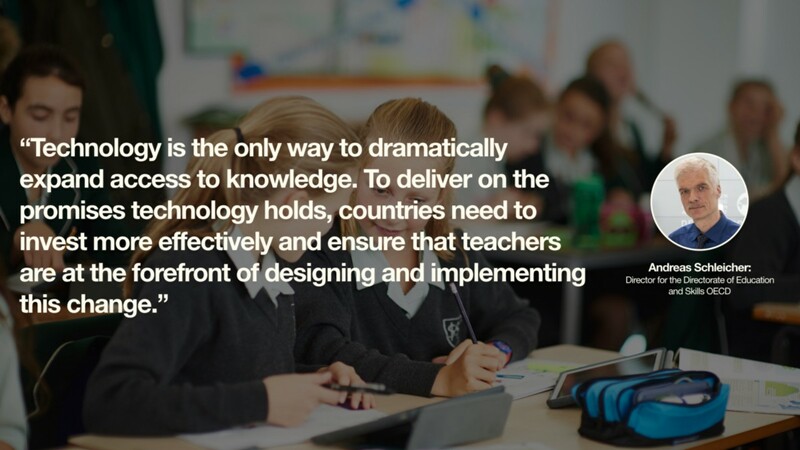 However, what we can say is that technology, when used effectively, can demonstrably support teaching and learning and that this more effective use does not arise from investiment in kit and hardware alone, but also from investing on making teaching and learning better, using the best tools for the job, digital or analogue. It’s only when looked at from this wider perspective, and in context, that the value of teaching and learning with mobile devices such as tablets becomes apparent.